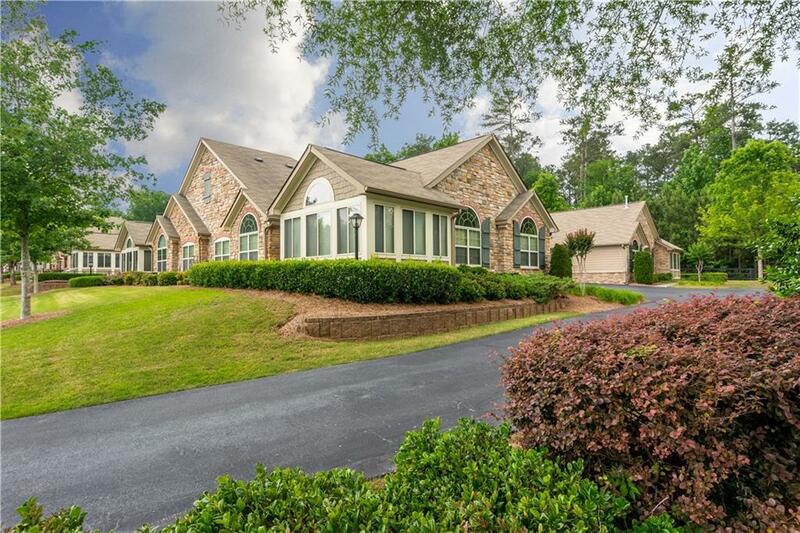 Desirable Active Adult in Cobb! Granite Counters Beautiful Community! 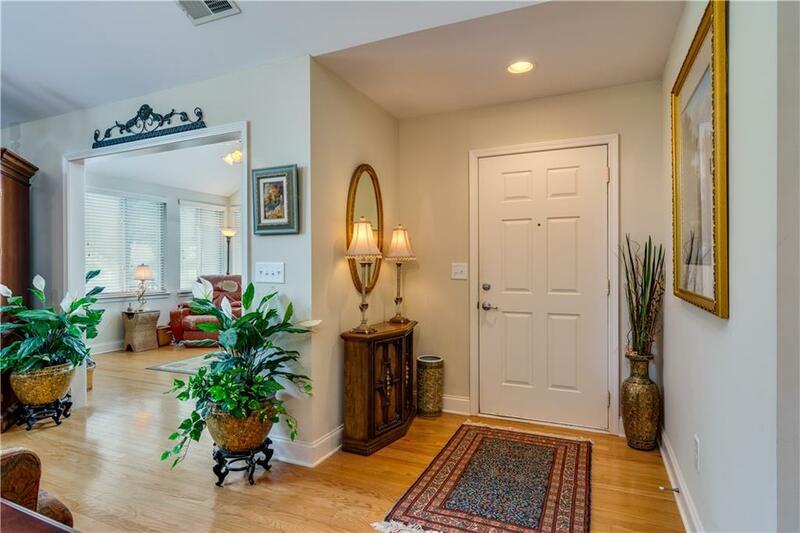 This Lovely 2 bedroom 2 Bath Condo Looks Like a Model!Hardwoods throughout! 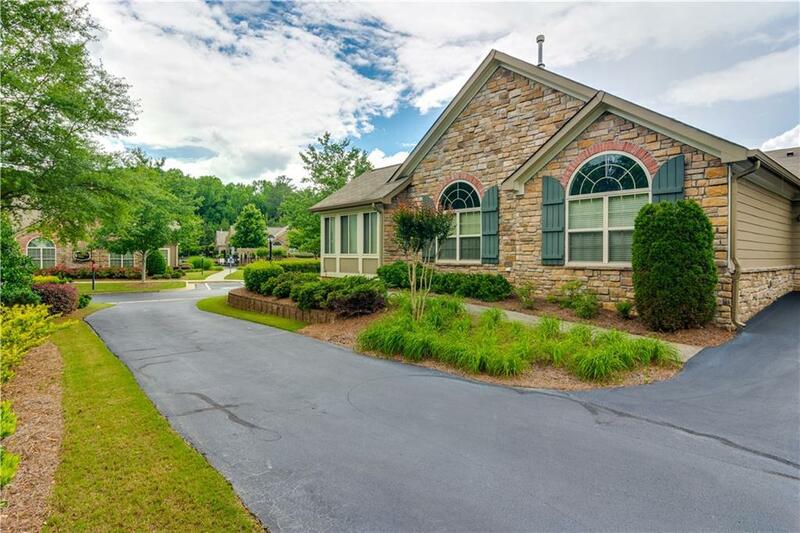 Ranch End Unit with a 2 car garage, right across from the community pool. 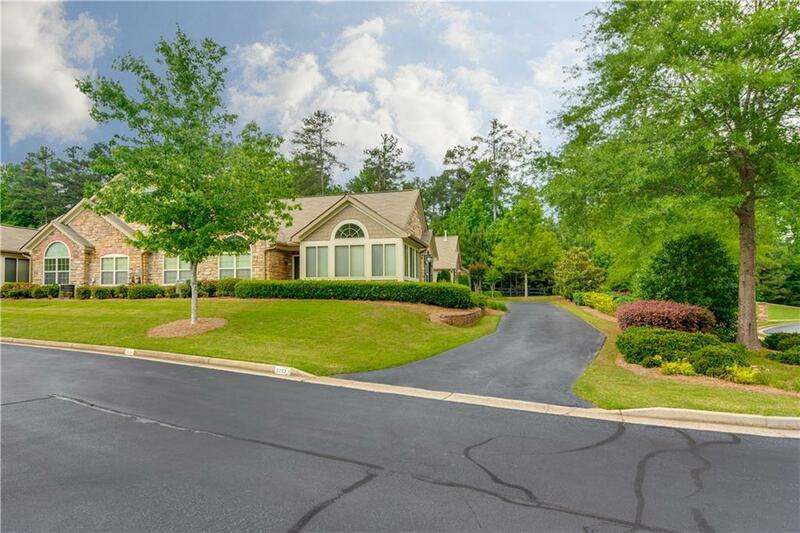 Open Floor Plan with Corner Fireplace, soaring ceilings, Sun Room, separate Den/Sitting Room,makes the perfect Office!Laundry Room is Large with additional pantry. Lives very Large! Beautiful Owners Suite with Luxurious Owners bath, double vanity, oversized one-step shower! Secondary Bedroom with Hall/Guest Bath. Spotless! Washer & Dryer to remain! Listing provided courtesy of Knight Realty, Llc..